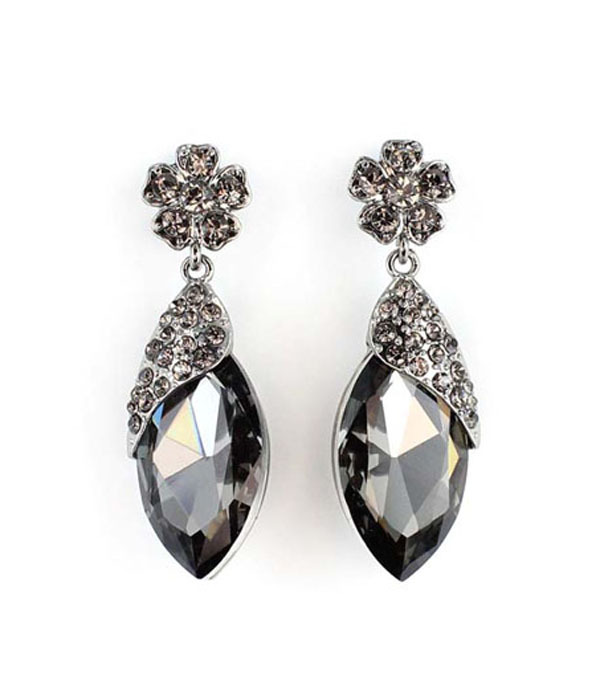 You will love unobtrusive shimmering of tiny crystals embedded in silver-tone framing. The emphasis is made on a large faceted semitransparent crystal of moderate graphite gray shade. Order now and take your collection of fashion accessories to new heights! Fun, formal, chic or unique we have it all!